The MP Mini Delta printer is a great entry-level printer as well a printer to print very fine detail. Like all of our 3D printers, we have a very enthusiastic community who enjoys modifying and upgrading to make a capable printer even better. 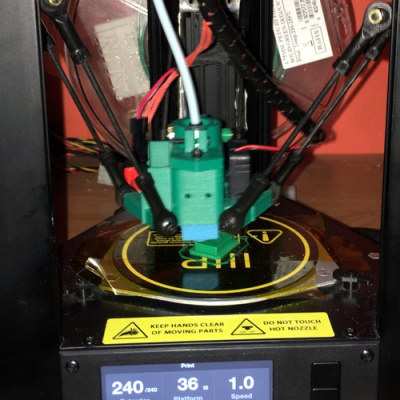 Check out this tweak to the hot end extruder to print flexible filament. This adapter allows the fitting of the E3D V6 hot end. Other cool tweaks include enclosure panels and a SD card extension holder. The possibilities are endless! Find more upgrades here.